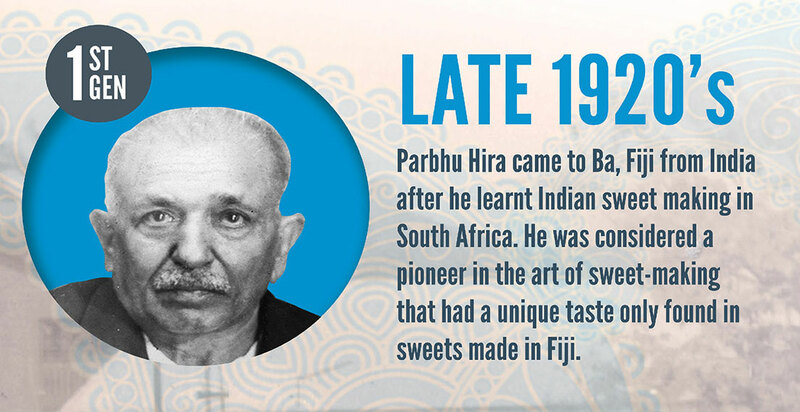 Originally from the Gujarat village of Kadod in Surat, in the State of Gujarat, India, Mr. Parbhu Bhai Hira had mastered the art of making Indian sweets and snacks from Durban, South Africa, in the early 1920’s. Despite the growing opportunities in the coastal city of Durban which also proved to be South Africa’s busiest port, Hira decided to invest what knowledge he had acquired in sweet making in a new homeland well beyond the horizon. 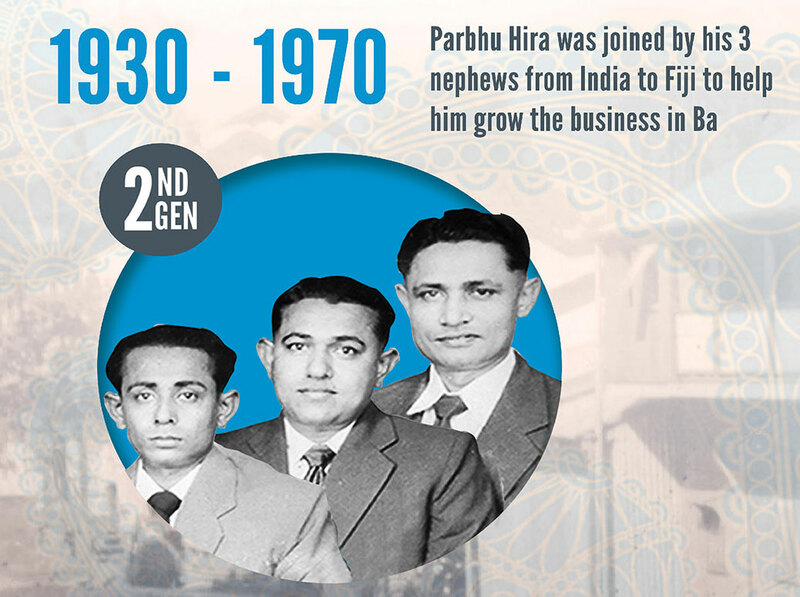 In the late 1920’s Hira set out on his journey to discover Fiji as a land of opportunities. 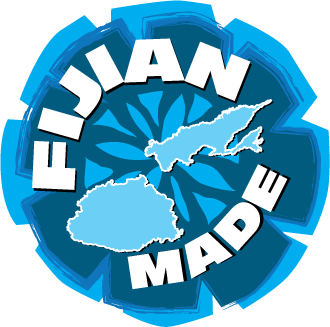 By this year most of the indentured labourers who were brought in from India to work on sugarcane fields had decided to make Fiji their new home. 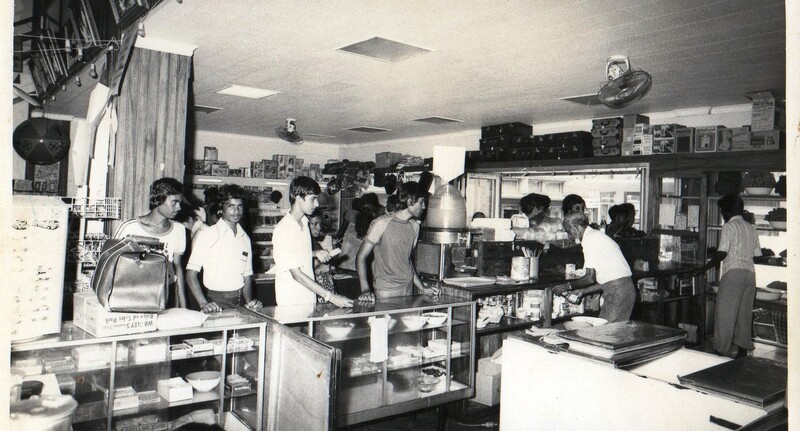 The existing Indian population in Fiji meant available market for Indian Sweets & snacks. Settling in Ba, Hira started his business using the famous “bean cart” which grew in popularity amongst local i-Taukei (native Fijian) population as well. Having the knowledge and passion to create a fusion of taste between the two continents (African & Pacific) he used of all natural ingredients combined with the traditional processes. 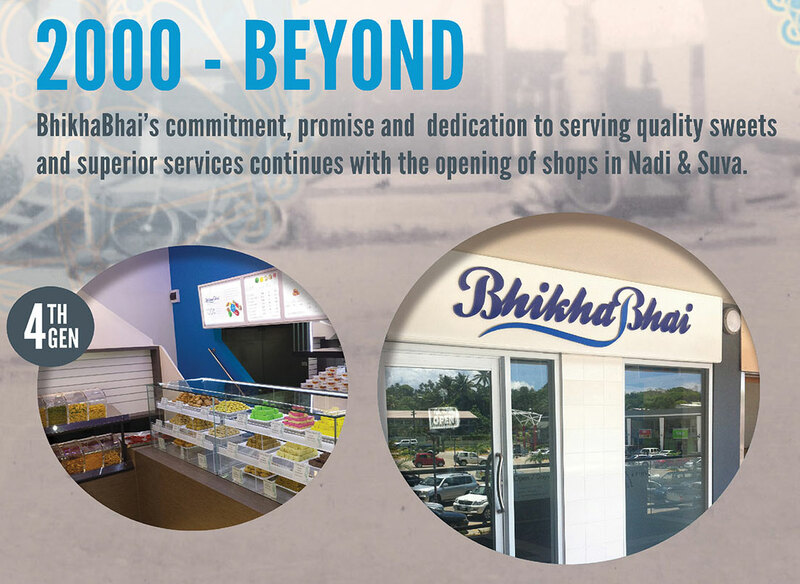 Hira envisioned the business to grow over the years given its popularity and knowing he did not have a successor he adopted his nephew Mr. Bhikhabhai Parbhu in the early 1930’s from his village in India. Later, Mr. Bhikhabhai was joined by his younger brothers Mr. Ranchhodbhai Lala and Mr. Maganbhai Mistry. The 2nd generation (three brothers) worked together very hard and rented a retail shop in a wooden building in addition to the “bean cart” business. Later they bought the wooden building and in 1976, the wooden building was demolished to make way for the 3 storey building from where operate our Ba shop which also houses our Supermarket. As the business grew, by the next decade in 1960 & 70’s, the family also grew and soon they were sending their children to school and universities. With the increase of Fiji residents travelling and migrating, the residents took Bhikhabhai sweets and snacks as gift’s from Fiji as it was much craved gift item from Fiji. 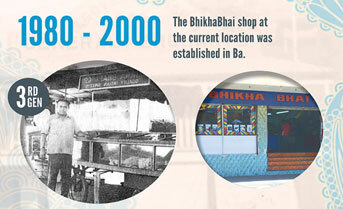 This idea became the driving force that took the “Bhikhabhai” brand all over Fiji, making it a household brand. The result of truck wholesaling around the country and the local demand for the products expedited Bhikhabhai & Company to consider buying properties to house their Bhuja range production units. By 1986, the sister company Swits N Snax (Fiji) Limited was formed which manufactures Indian snacks under the “BBC Bhuja” brand. 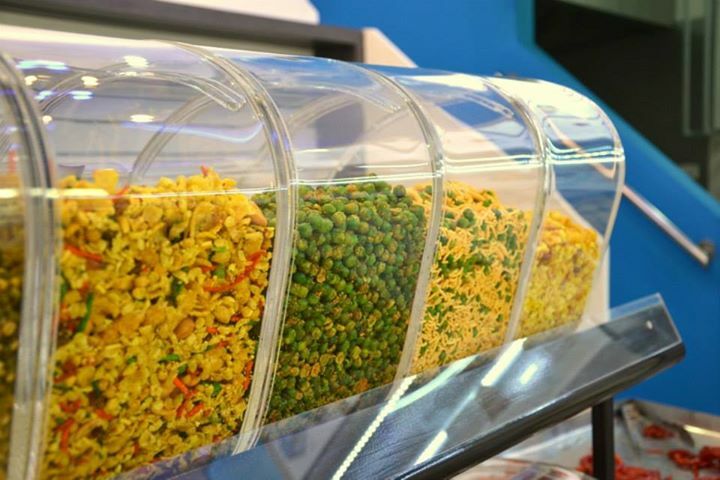 As the sister company grew in sales, automated manufacturing and packaging machines was introduced to cater for the growing market. Our modern shop layout in Suva. Opened in December 2013. In 2005, the company introduced another service that was very well received by its customers. This was providing catering services specializing in Gujarati dishes. 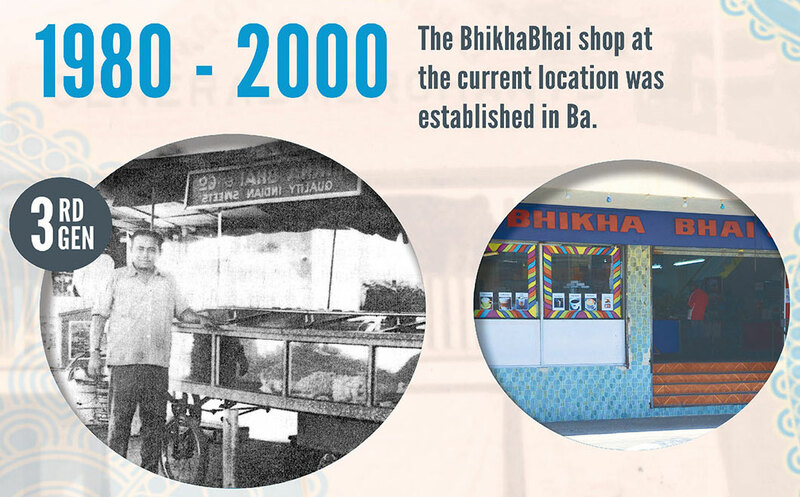 Expansion seemed never ending as we opened our first Bhikhabhai shop outside of Ba in Nadi in 2009. This is a testament to the business growth that our company was going through. By 2010, we ventured into the Tourism industry where we supplied our products to major three to five star resorts and hotels at Denarau Island. Our recent milestone has been the opening of our 3rd shop at Damodar City Center in Suva late 2013. Now we’ve launched our first website that we anticipate will be a window into the operations of our family owned & operated business. 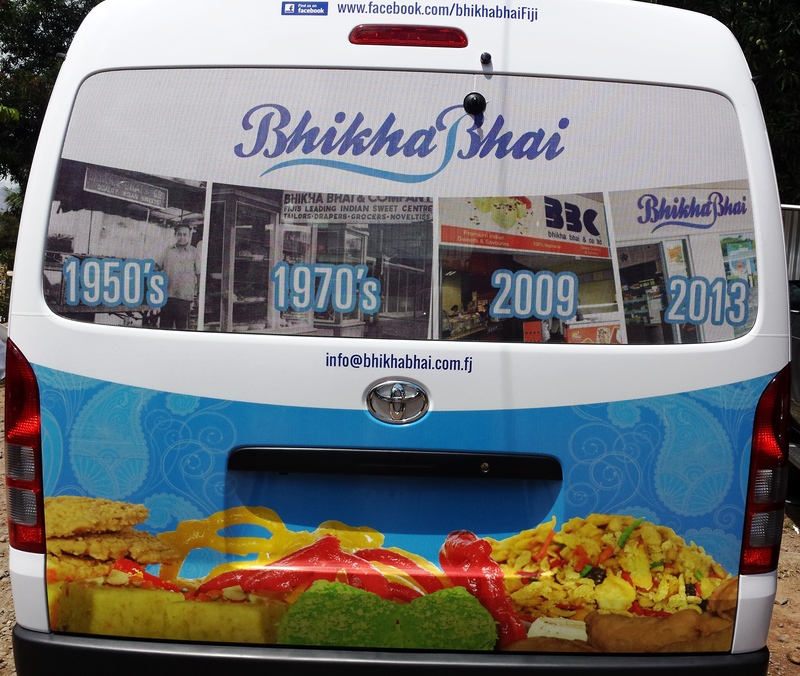 Our branded vehicle carries our history all over Fiji.